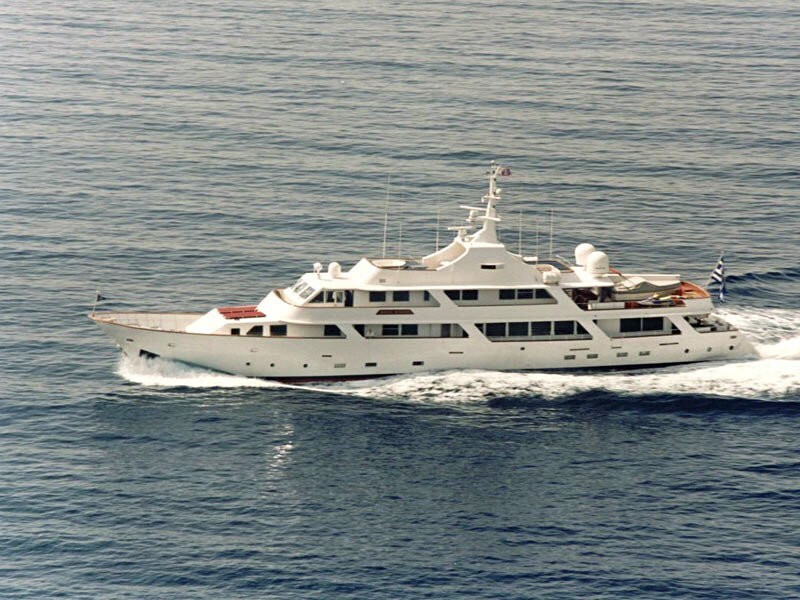 46m/150ft classic yacht WHITE KNIGHT (ex.WHITE KNIGHT OF ARABY) was built in 1985 by Astillero Jorge R Chediek and last refitted in 2013. 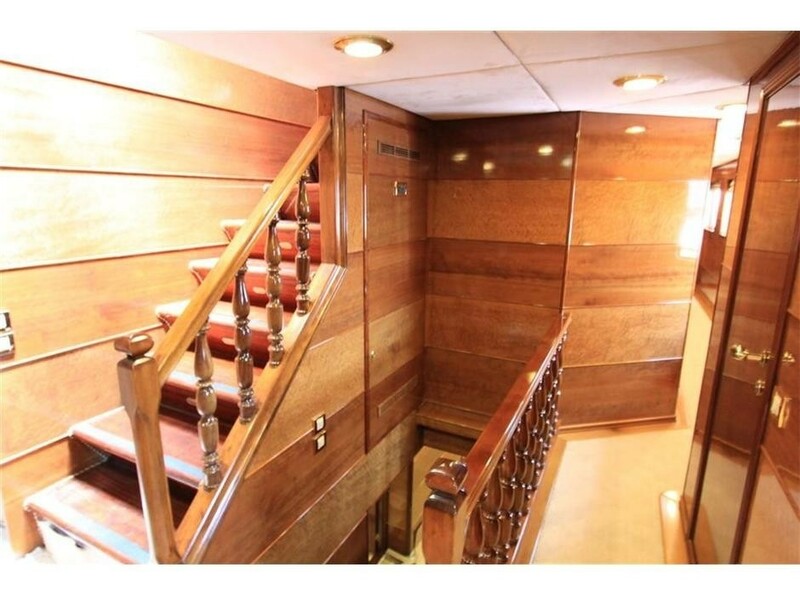 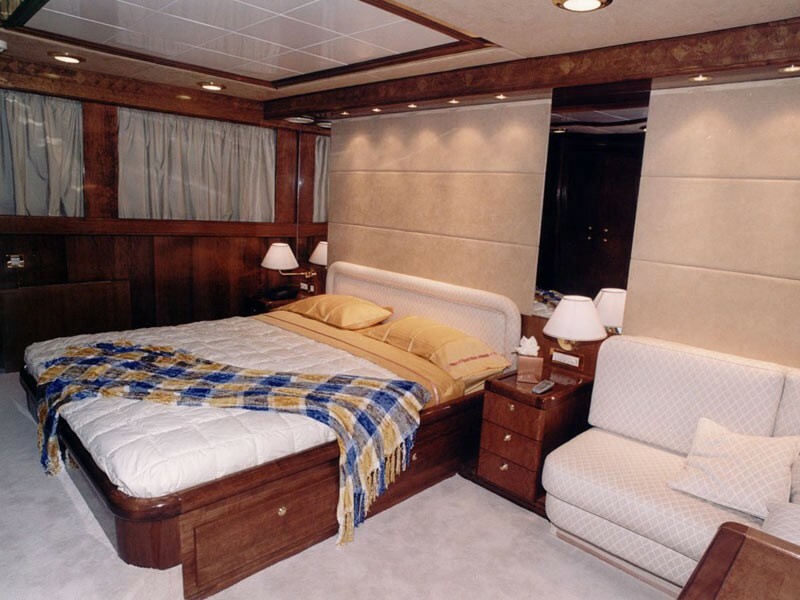 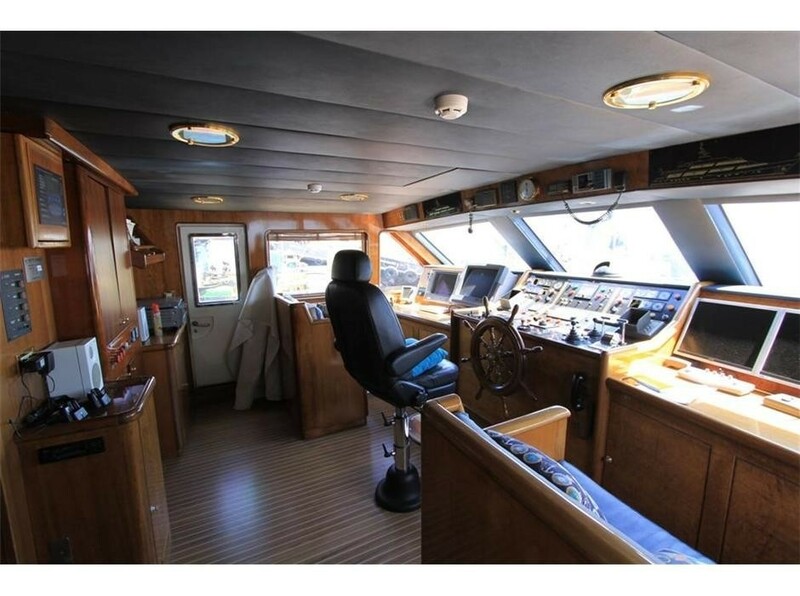 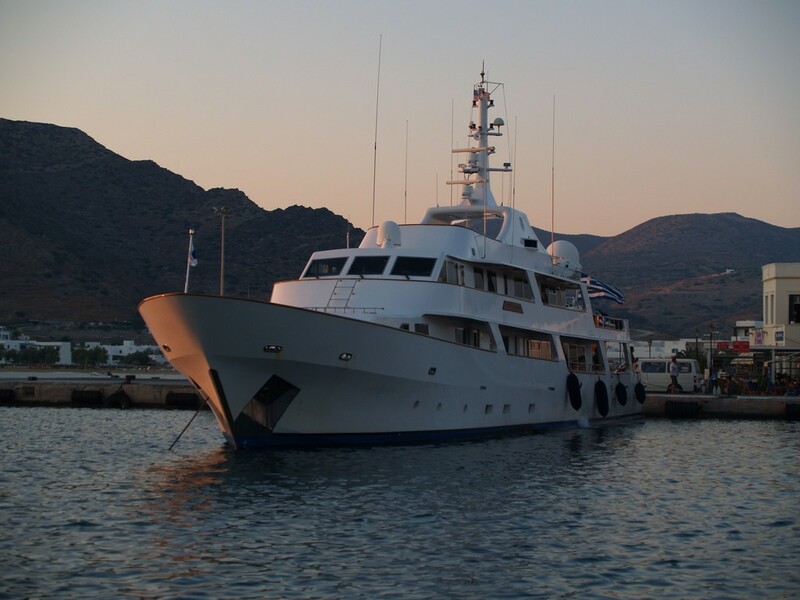 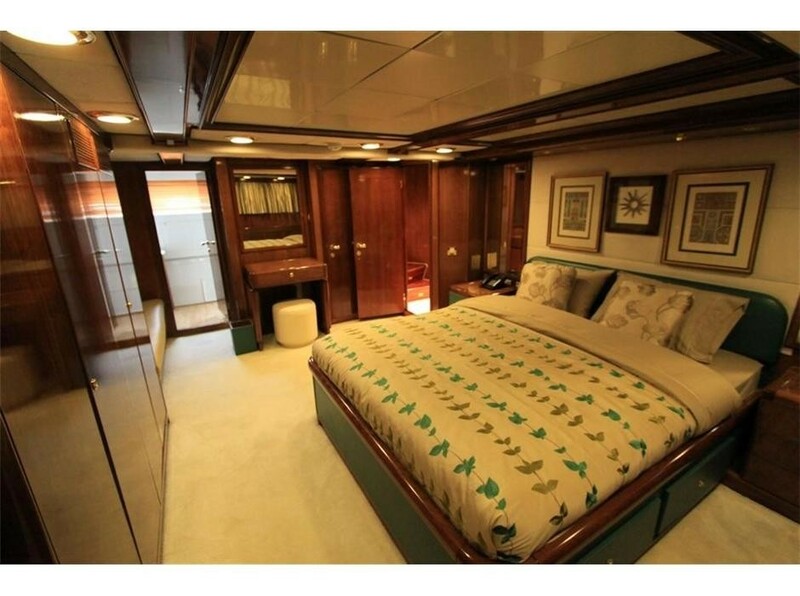 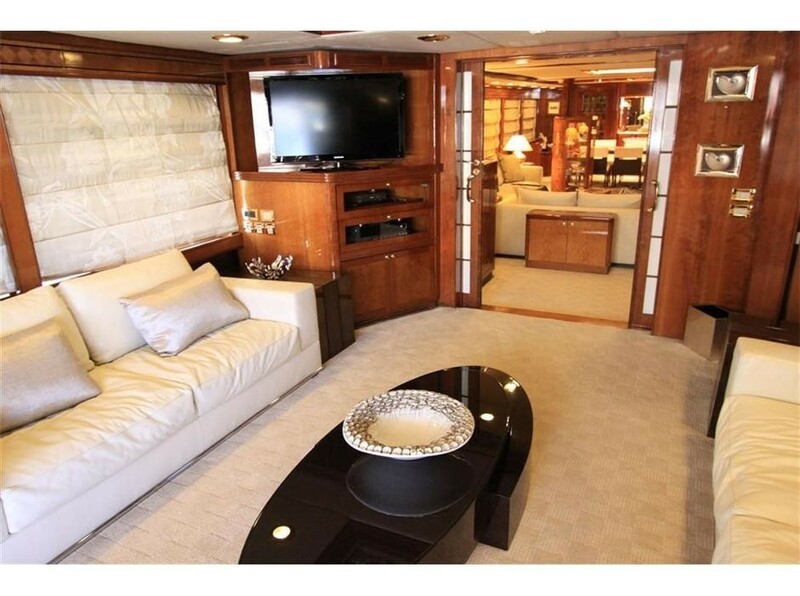 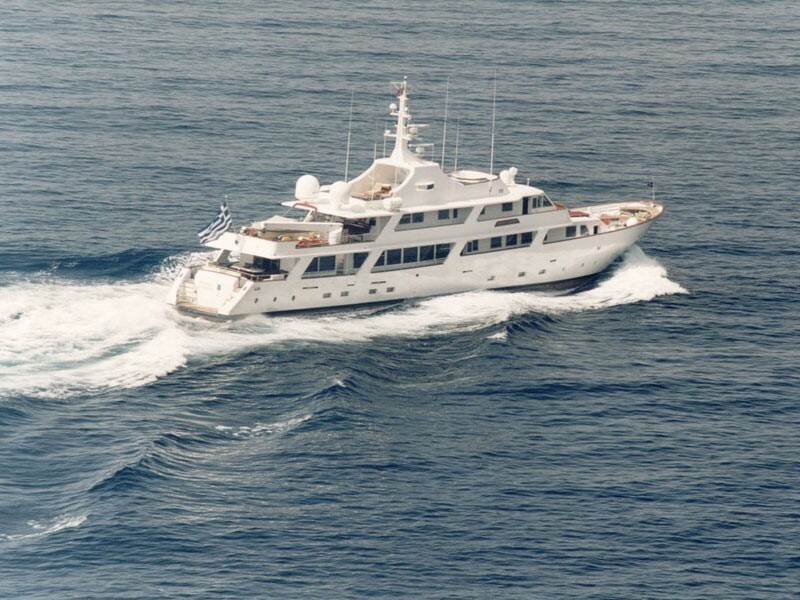 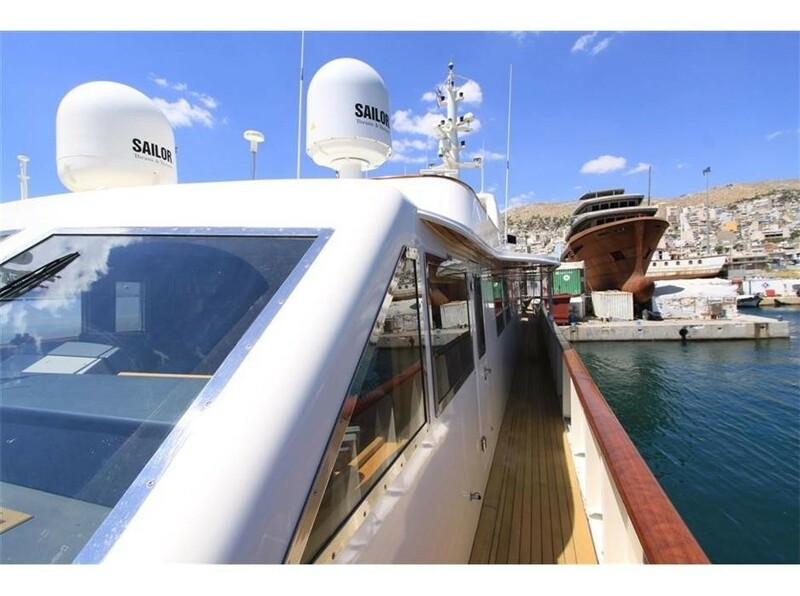 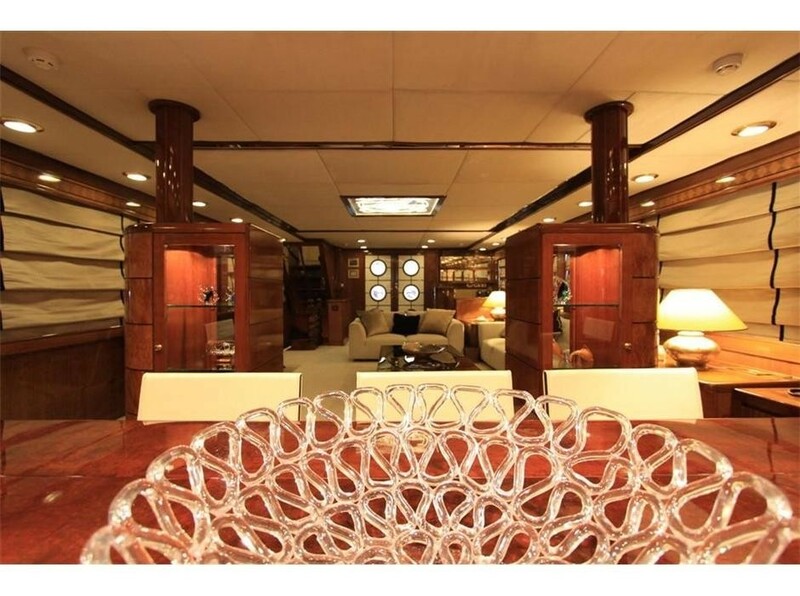 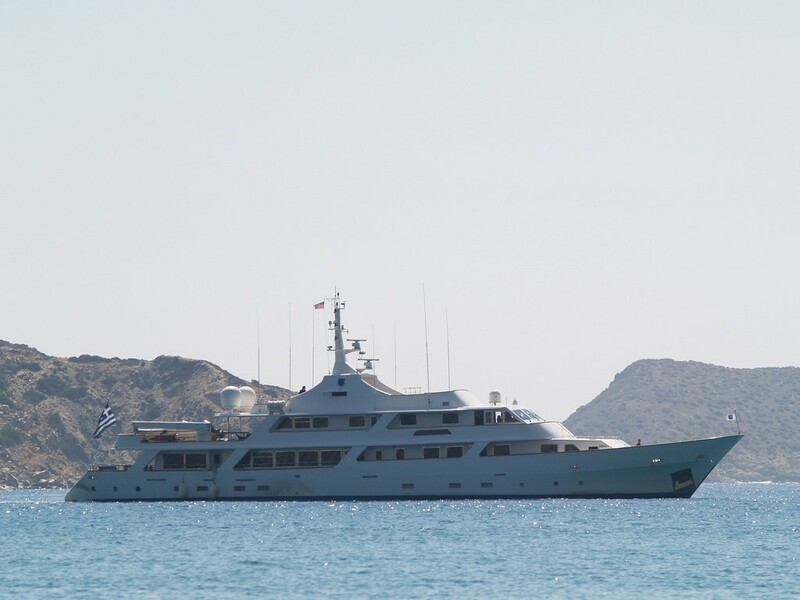 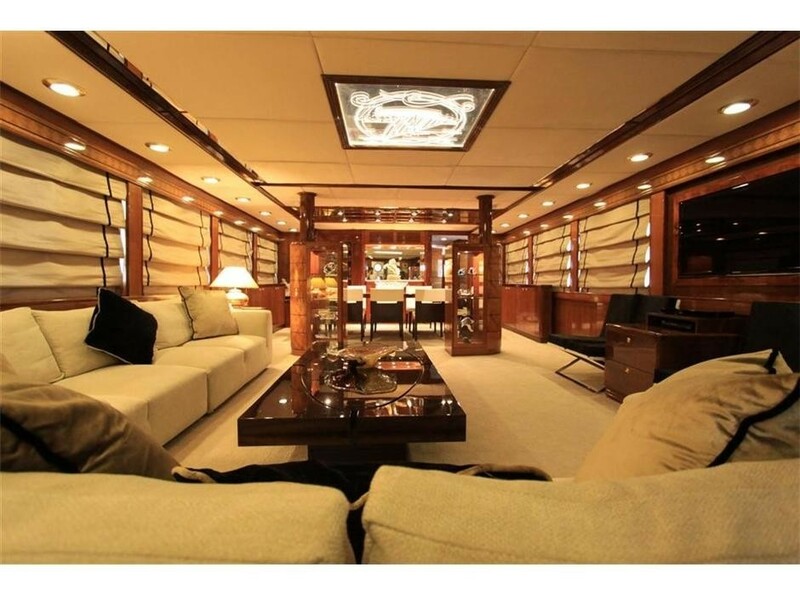 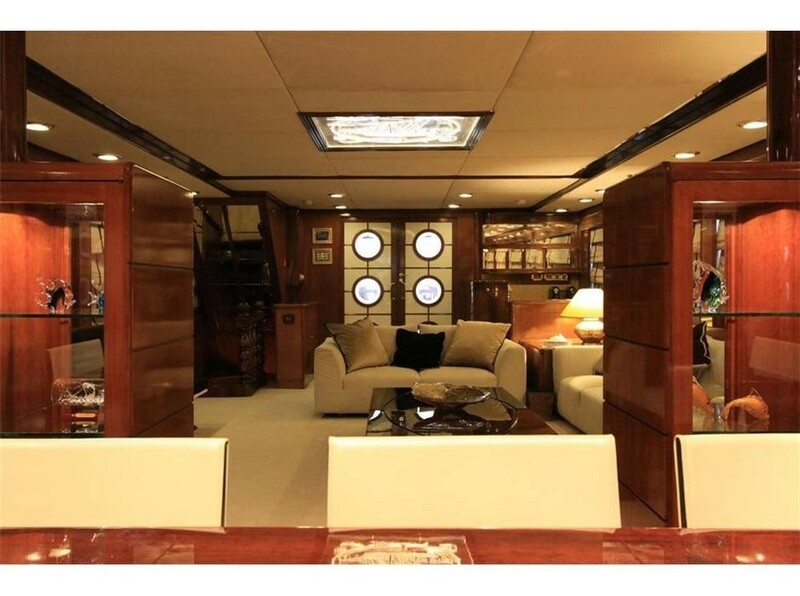 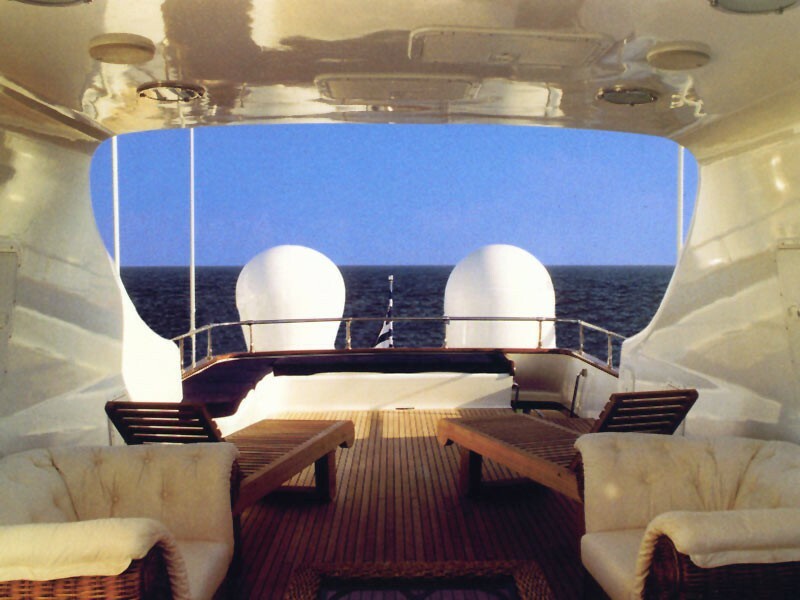 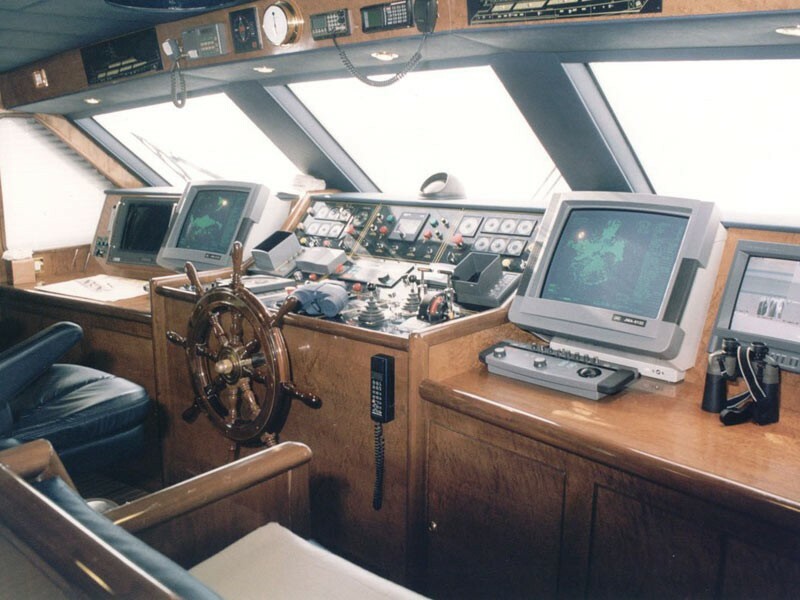 She has a steel hull and steel superstructure, with engineering and exterior styling completed by her builders. 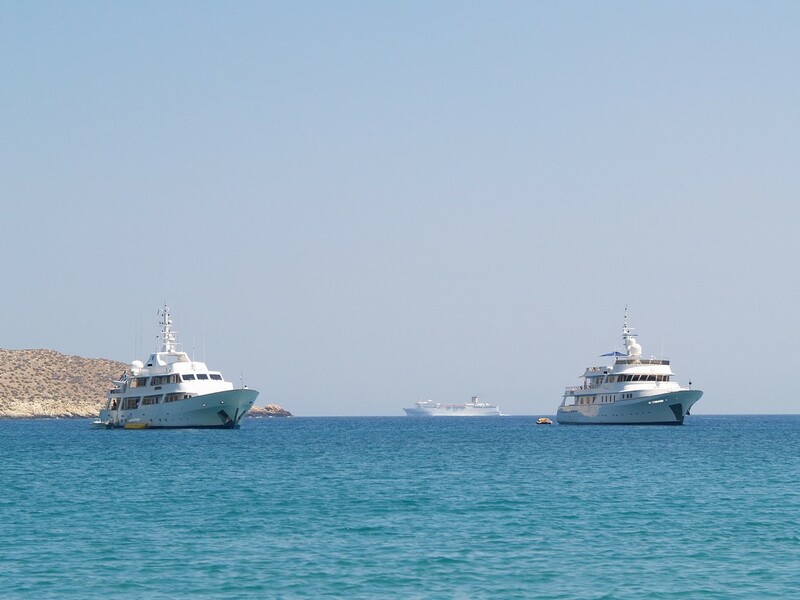 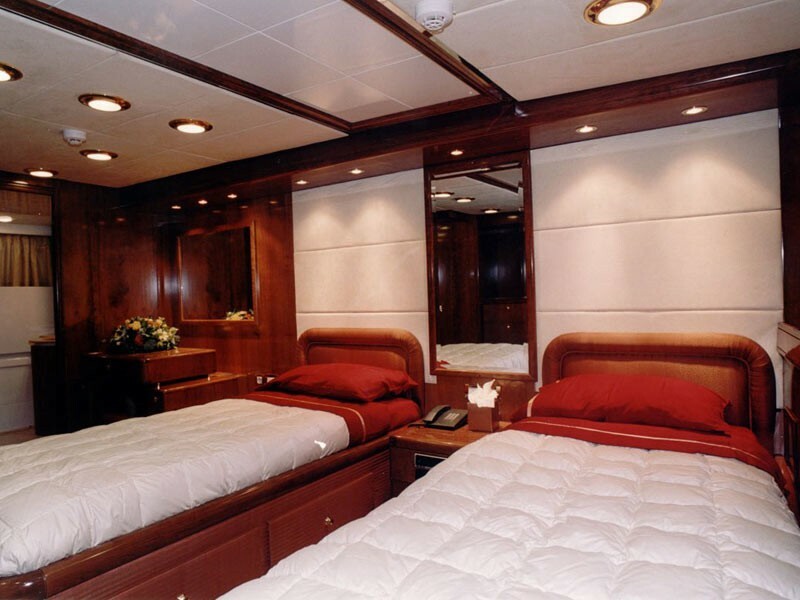 Accommodation is provided for 12 guests over 8 cabins. 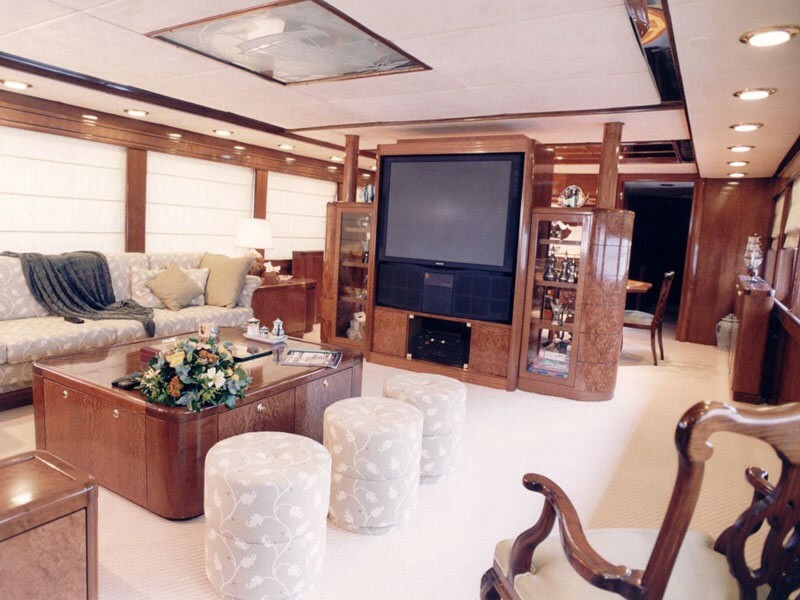 The main salon features pale white furnishings against warm wooden panelling for a timeless environment designed for family living. 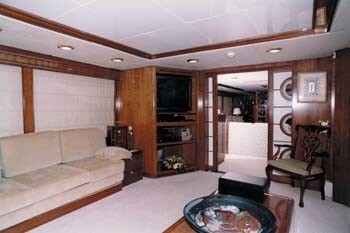 A large sofa is paired with fabric-covered stool seating around a large coffee table and close to the television for entertainment during transit. 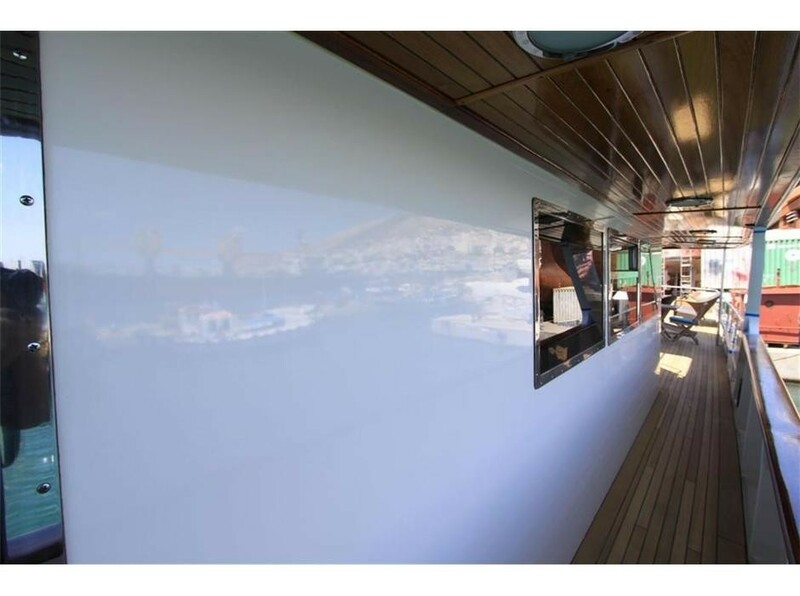 Extensively fitted with windows, the interior is flooded with natural light during the daylight hours while carefully placed ceiling lighting allows guests to continue reading and socialising after dark. 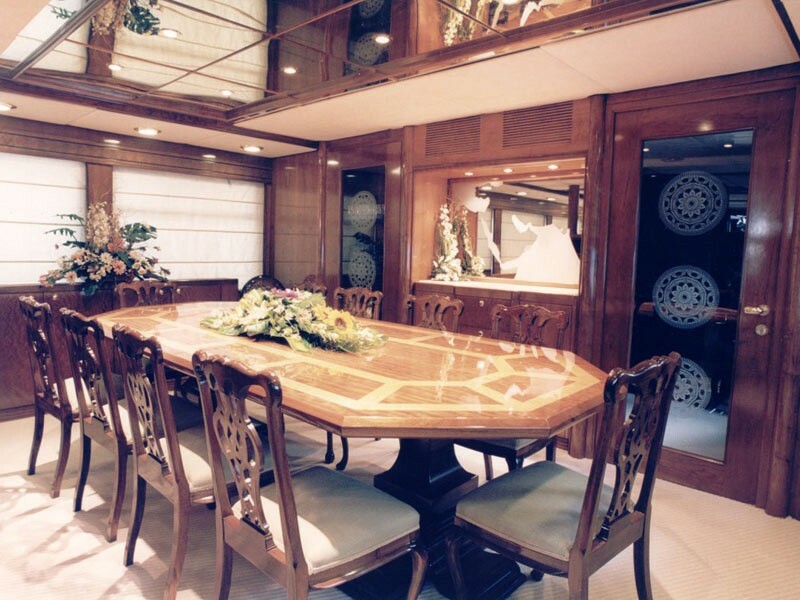 A partition separates the main salon from the elegant formal dining area, which is the perfect place to celebrate a special event among family and friends. 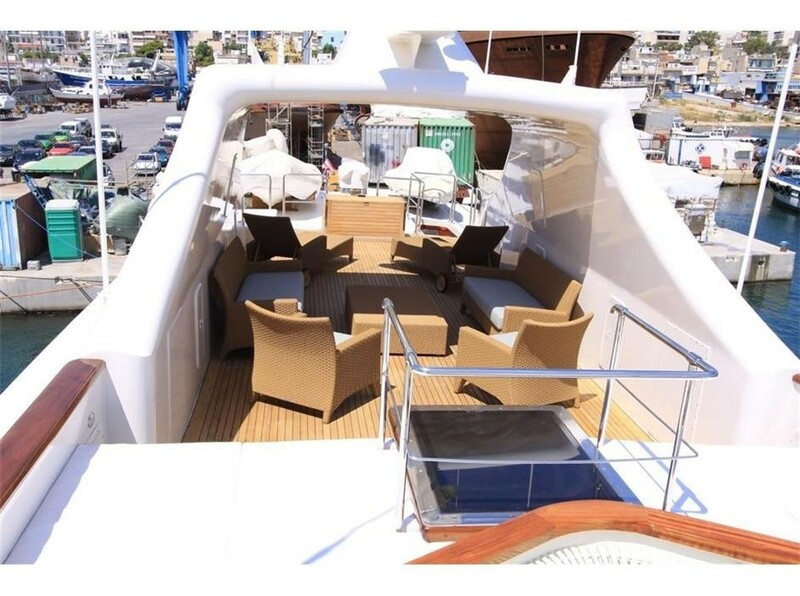 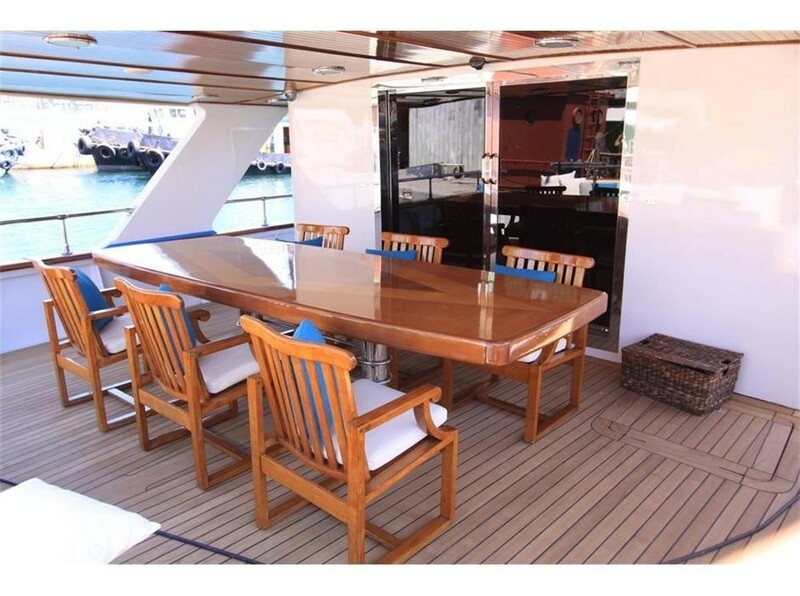 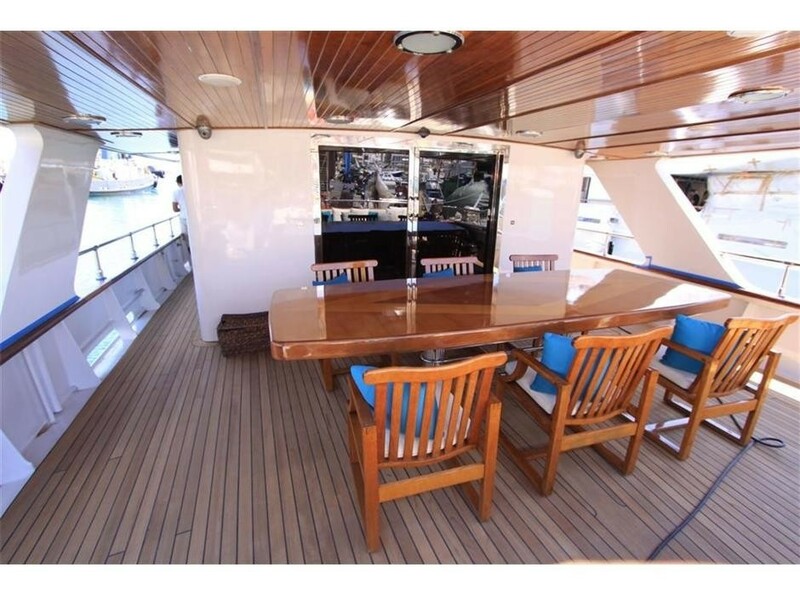 The main deck aft is a sheltered space for outdoor living, where guests can dine alfresco at the sturdy table or simply sit back and enjoy the views. 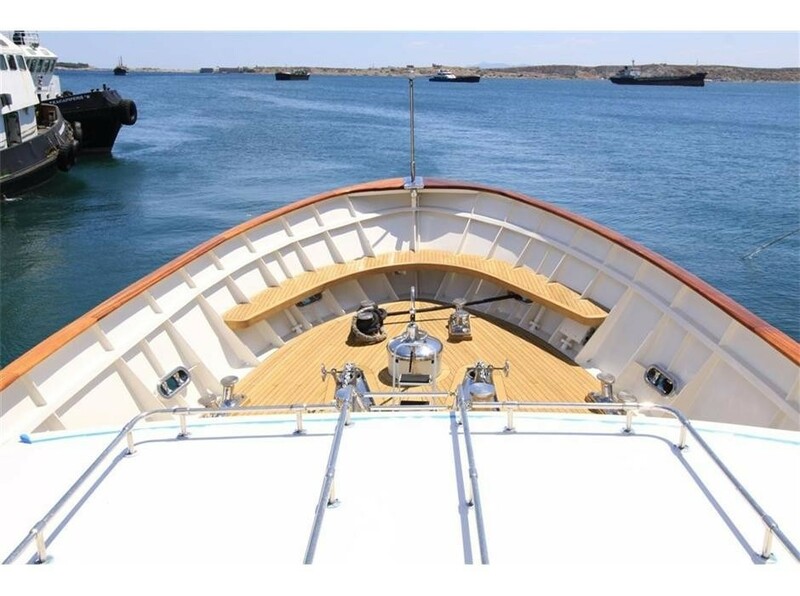 A bench is fitted into the bow for guests to take in the forward views once at their destination. 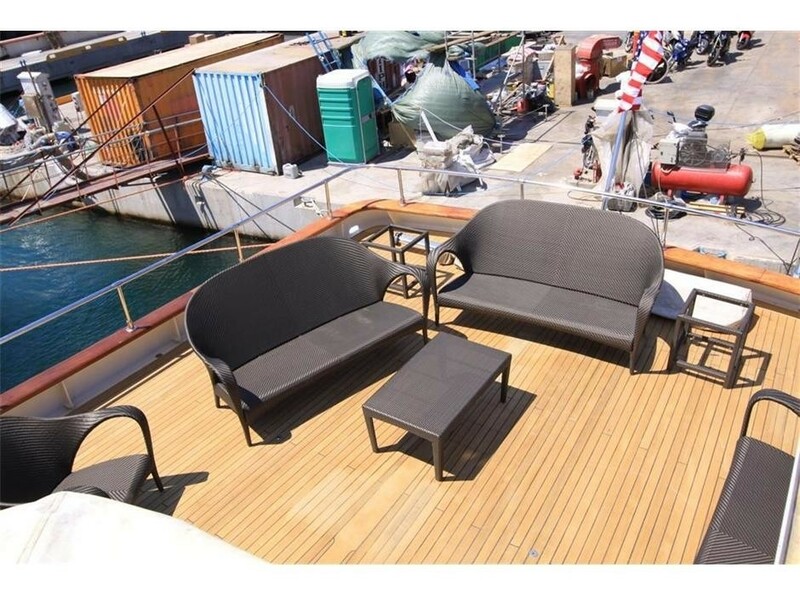 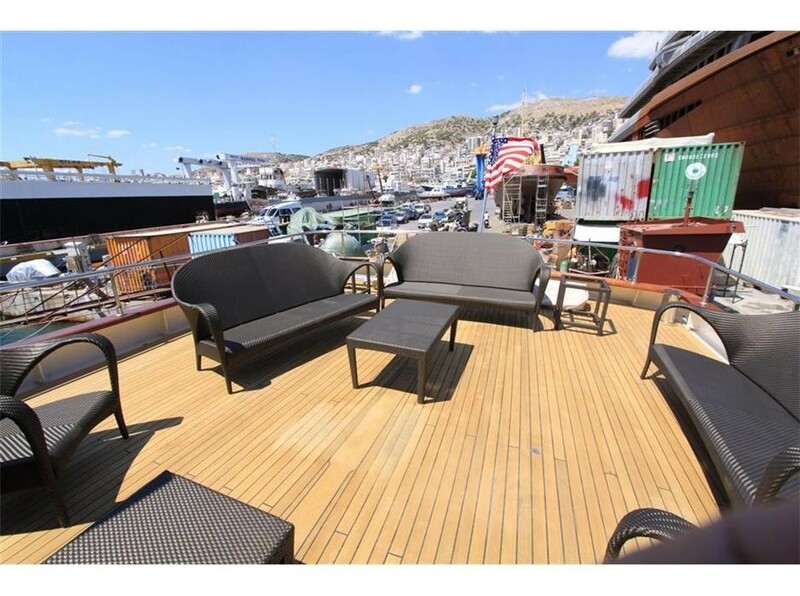 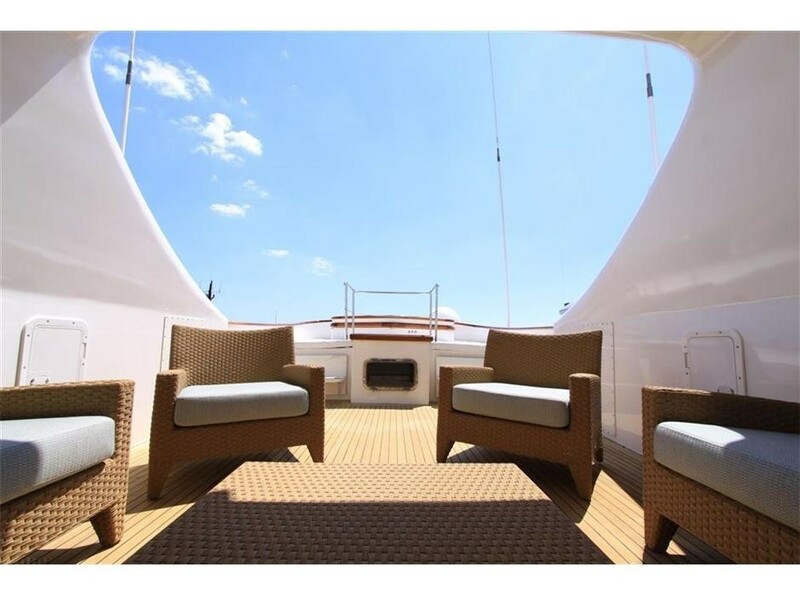 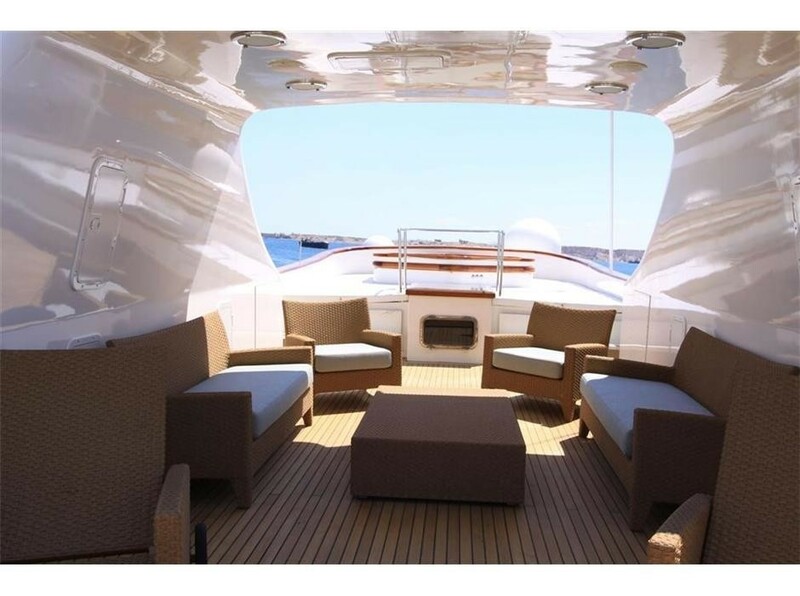 Lounge outdoors on the main deck aft and take in the views from the numerous sofas or arm chairs, designed to accommodate extra visitors as well as all 11 guests. 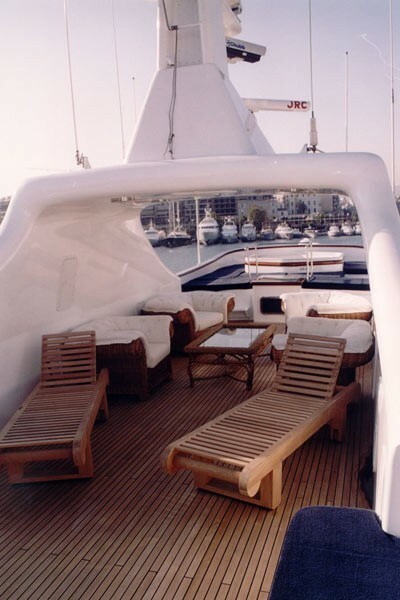 The sundeck is designed for outdoor living, offering guests forward sun loungers, a shaded central section with plush armchairs and a coffee table, plus a spa pool to the aft surrounded by sunpads. 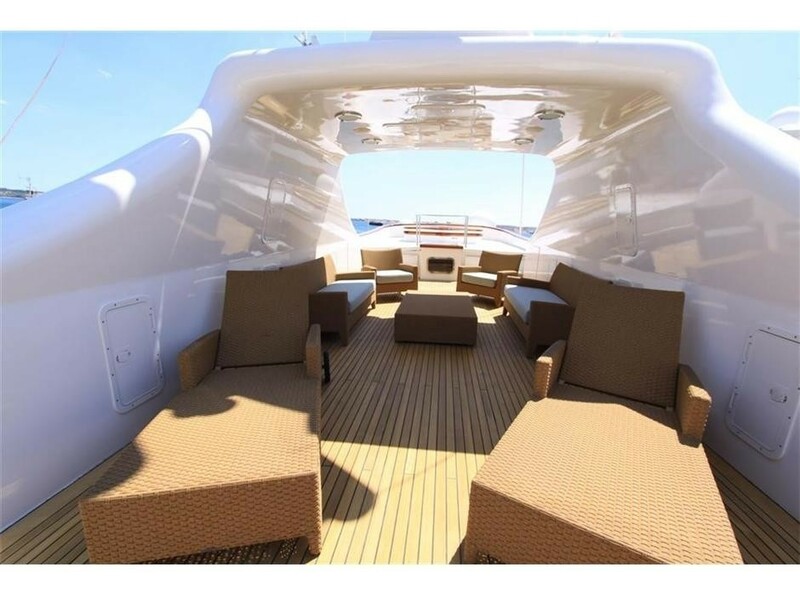 Motor yacht WHITE KNIGHT uses 2 x GM 1325hp engines to reach a cruising speed of 14 knots and a top speed of 18 knots. 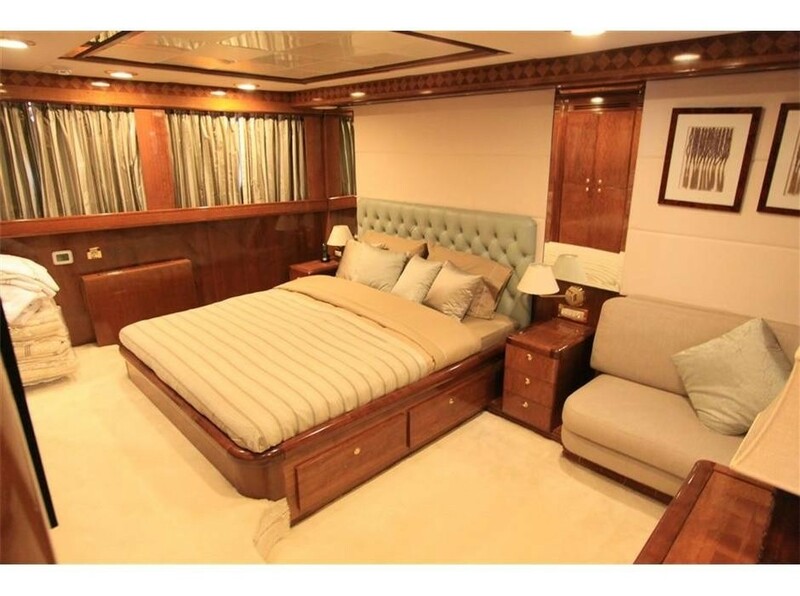 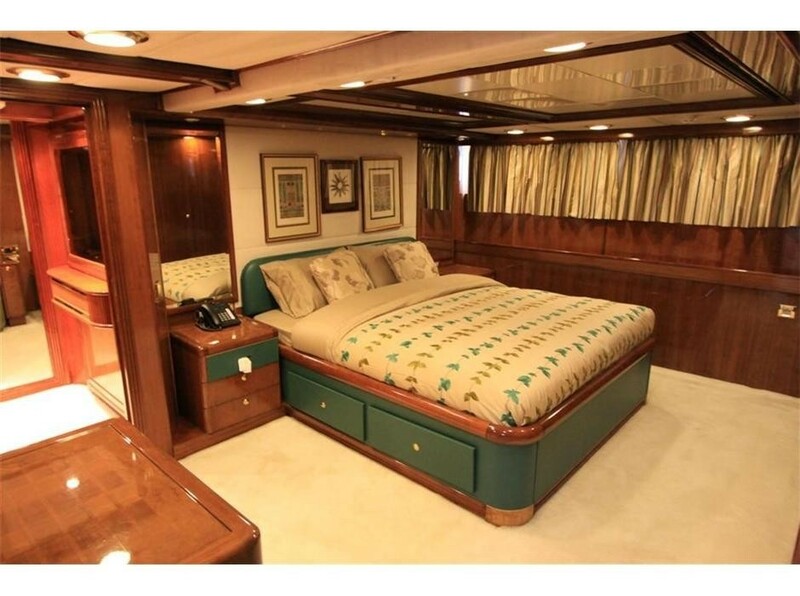 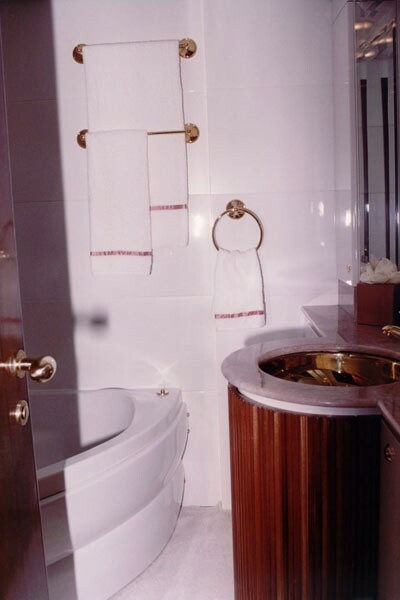 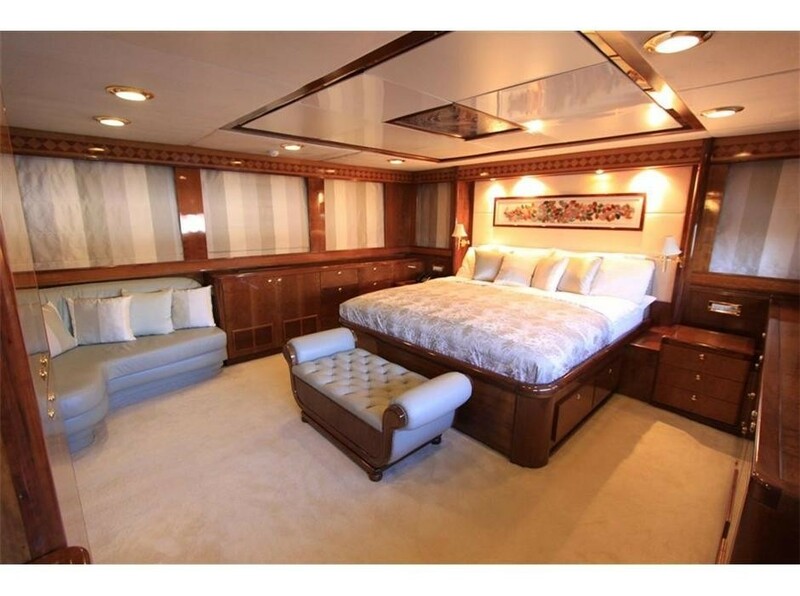 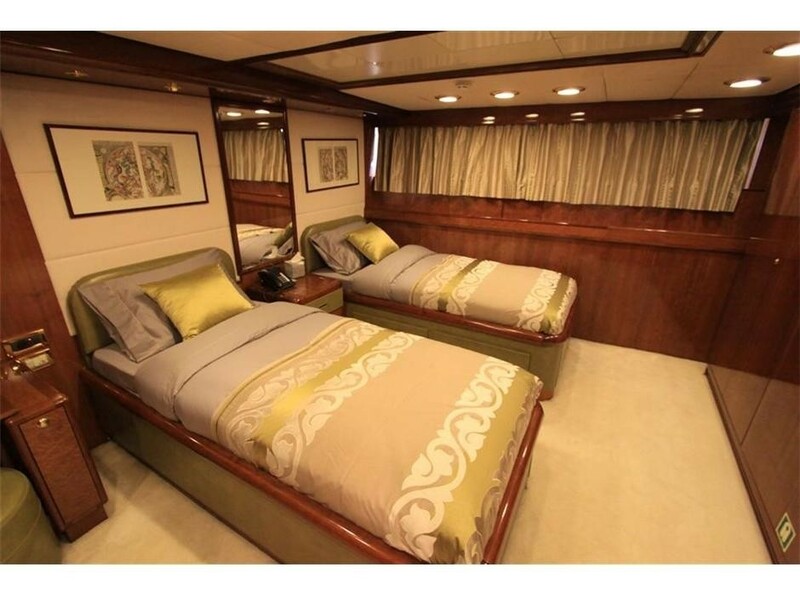 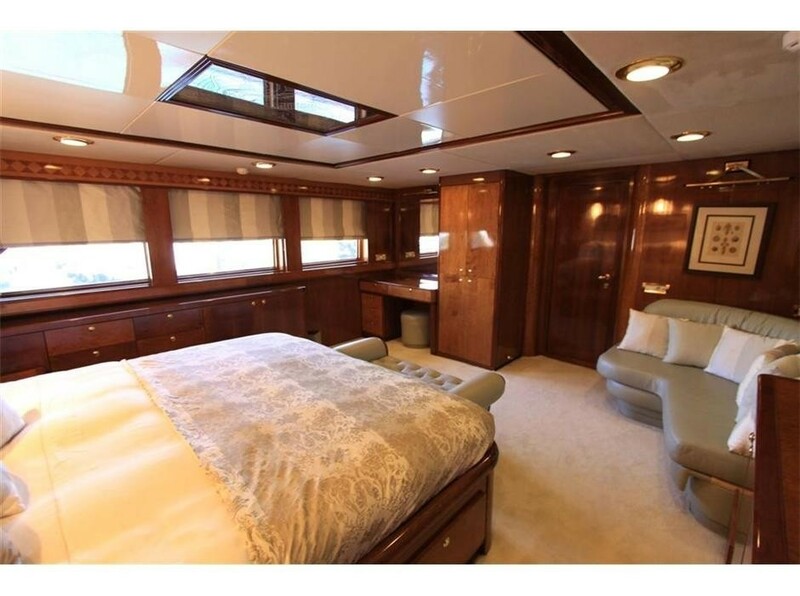 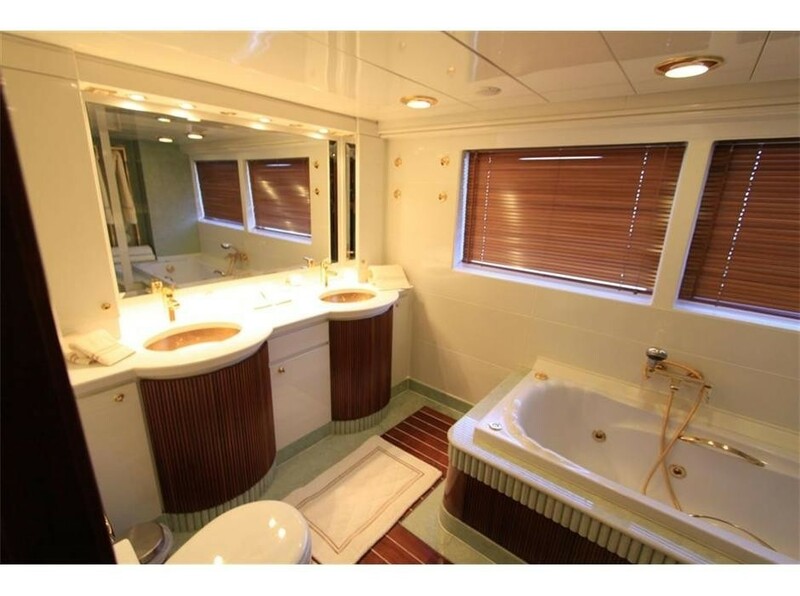 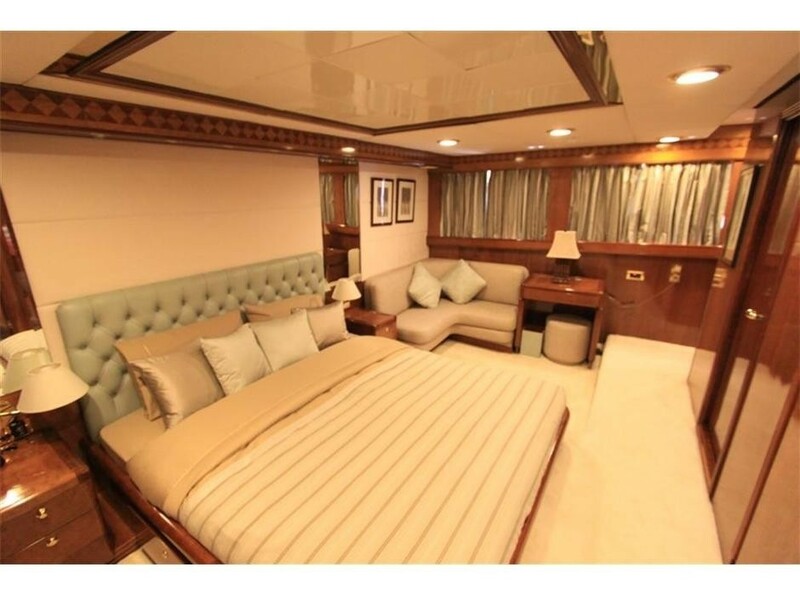 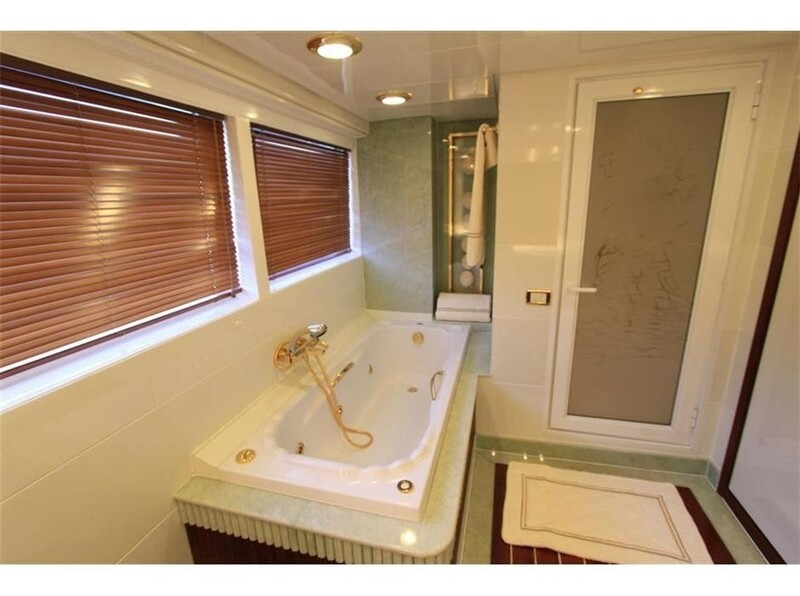 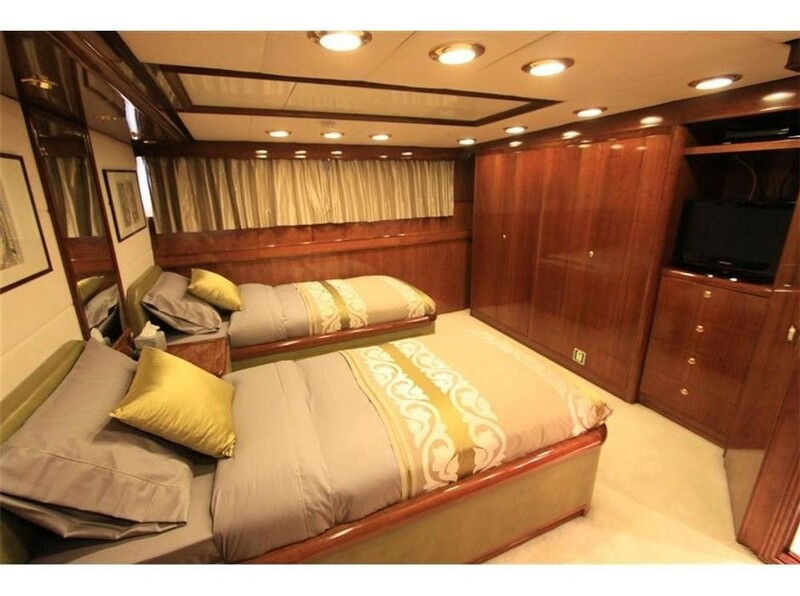 The accommodation layout provides for 12 guests over 8 cabins: 1 Master suite, 2 VIP staterooms, 1 double cabin, 4 twin cabins and 2 Pullman berths. 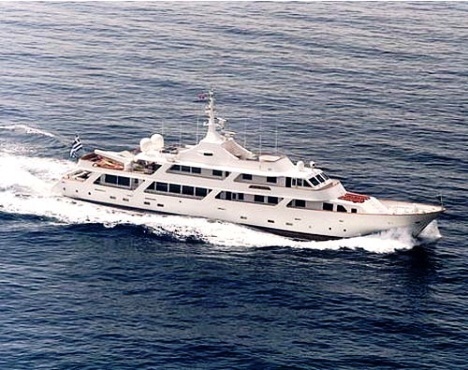 We do have available further amenity, owner and price information for the 45.55m (149'5") yacht WHITE KNIGHT, so please enquire for more information.